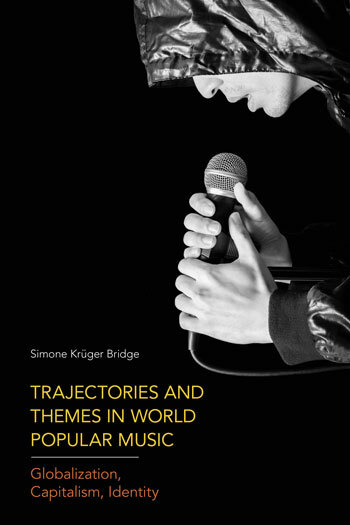 Simone Krüger Bridge is a Reader in Music at Liverpool John Moores University, UK. She has authored books, chapters, articles and papers on educational ethnomusicology, music and globalization, and guitar music cultures in Paraguay. Simone is the editor-in-chief of the Journal of World Popular Music, book series editor of Transcultural Music Studies, editorial board member of the Journal of Popular Music Education, and has previously served as co-editor of the journal Ethnomusicology Forum. Simone is an award-winning educator with extensive teaching experience in ethnomusicology, media and cultural studies, world music and popular music studies, and sociology. Prior to embarking on her music-academic career, Simone completed a professional Masters in Banking Services and Operations and BSc in Business Economics with Marketing specialisation. This book traces the trajectories of modern globalization since the late nineteenth century, and considers hegemonic cultural beliefs and practices during the various phases of the history of capitalism. It offers a way to study world popular music from the perspective of critical social theory. Moving chronologically, the book adopts the three phases in the history of capitalist hegemony since the nineteenth century—liberal, organized, and neoliberal capitalism—to consider world popular music in each of these cultural contexts. While capitalism is now everywhere, its history has been one borne out of racism and masculine hegemony. Early Europeanization and globalization have had a major impact on race/gender/sexuality/capitalist hegemony, while nascent technologies of capital have led to a renewed reification and exploitation of racialized, sexualized, and classed populations. This book offers a critique of the relationship between emergent capitalist formations and culture over the past hundred years. It explores the way that world popular music mediates economic, cultural, and ideological conditions, through which capitalism has been created in multiple and heterogeneous ways, understanding world popular music as the production of meaning through language and representation. The various dimensions considered in the book are the work of critical social science—a critique of capitalism’s impact upon popular music in historical and world perspective. This book provides a powerful contemporary framework for contemporary popular music studies with a distinctive global and interdisciplinary awareness, covering empirical research from across the world in addition to well-established and newer theory from the music disciplines, social sciences, and humanities. It offers fresh conceptualizations about world popular music seen within the context of globalization, capitalism, and identity. This book traces the trajectories of modern globalization since the late nineteenth century, and considers hegemonic cultural beliefs and practices during the various phases of the history of capitalism. 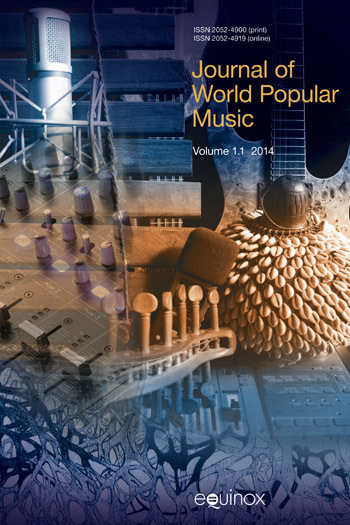 It offers a way to study world popular music from the perspective of critical social theory. Moving chronologically, the book adopts the three phases in the history of capitalist hegemony since the nineteenth century—liberal, organized, and neoliberal capitalism—to consider world popular music in each of these cultural contexts. While capitalism is now everywhere, its history has been one borne out of racism and masculine hegemony. Early Europeanization and globalization have had a major impact upon western race/gender/sexuality/capitalist hegemony, while nascent technologies of capital have led to a renewed reification and exploitation of racialized, sexualized, and classed populations. This book offers a critique of the relationship between emergent capitalist formations and culture over the past hundred years. It explores the way that world popular music mediates economic, cultural, and ideological conditions, through which capitalism has been created in multiple and heterogeneous ways, understanding world popular music as the production of meaning through language and representation. The various dimensions considered in the book are the work of critical social science—a critique of capitalism’s impact upon popular music in historical and world perspective. This book provides a powerful contemporary framework for contemporary popular music studies with a distinctive global and interdisciplinary awareness, covering empirical research from across the world in addition to well-established and newer theory from the music disciplines, social sciences, and humanities. It offers fresh conceptualizations about world popular music seen within the context of globalization, capitalism, and identity. Chapter 1 considers world popular music before neoliberalism. It first discusses musical modernization under the influence of liberal capitalism and organized capitalism, exploring the early/subsequent trajectories and themes related to musical globalization from the late nineteenth century through the mid-twentieth century and until the 1970s. Under the influence of liberal capitalism (nineteenth century – 1940s), musical modernization meant to balance advantages of west and east, old and new, including the adoption and integration of western sound recording and broadcasting technology and other products of western culture. New technologies and mass media have aided the wide dissemination of popular music and its commodification for profit. The phase of musical modernization has transformed indigenous and national cultural formations under the impact of the spread of western culture on musical practices since the nineteenth century. During the subsequent phase in the history of capitalist hegemony, the Golden Age of Capitalism (1945 until mid-1970s), the US was able to build a successful economy, including a dominating music recording industry, which became driven by the logic of organized capitalism and Fordism as an economic practice, and led toward a “democratic moment” in Western Europe and the US. Since the 1960s, nations in Western Europe and Asia adopted similar economic models and witnessed a huge economic rise. The electronic musical revolution, along with western pop-rock music, spread globally and has affected music cultures all over the world. 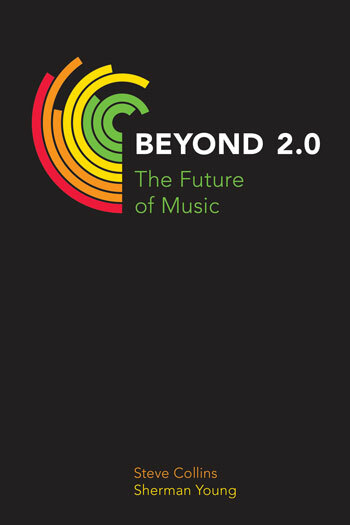 The structure and workings of the US-based music recording industry became replicated in the local music industries of countries around the world, so that international music industries became similarly marked by the standardization of production patterns and the pop-rock aesthetic. In considering the economic and technological dimensions of globalization and their impact upon society and culture, chapter 1 is also concerned with the politics of othering in popular music under liberal and organized capitalism, as these have been born out of historical, economic, social, and cultural manifestations of modern globalization. The chapter illustrates the politics of othering through racialized and gendered representations in popular music since its beginnings in the late nineteenth century. Chapter 2 moves on to the phase of neoliberalism that began in the 1970s. The 1980s marked a new, most recent era and regime of globalization, which was driven by the emergence of new technologies, the “truly” global reach of transnational corporations, and the evolution of neoliberal capitalism. This period is marked by more intense globalizing tendencies, intensified musical commodification and cultural homogenization, and the consolidation of neoliberal capitalism in major industrial economies. The structures and workings of the global music industry illustrate this, dominated by the growth of transnational music corporations and their expansionist strategy in the name of corporate capitalism. Much academic thinking during the 1970s and 1980s was dominated by the idea of cultural imperialism, drawing neo-Gramscian conclusions about the resultant musical diversity, or lack thereof. The 1980s also marked a shift toward a global preoccupation with “image” (notably on Music Television) and the sexualized female form that serves to objectify women. Concepts in feminist media analyses like the “male gaze” and “controlling images” became powerful tools for analyzing and critiquing traditional white supremacist patriarchy, including the representation of black women and femininities. In considering the politics of othering in neoliberal culture, chapter 2 also highlights the way that racist identity constructions still reverberated throughout this phase. Since the early 1990s, academic thinking gradually moved toward explanations of globalizing trends through the lens of hybridization, conceptualized through the idea of “expressive isomorphism”. We now live in a world marked by global cultural interconnectedness, cultural hybridization, and musical participation, through which the global becomes received in new and different ways in different locales. Chapter 3 is rooted in the 1980s when many music consumers in the west yearned for new, more authentic and meaningful music as rock and punk’s appeal began to wane and popular culture was dominated by a glitzy, artificial world of chart-friendly pop. The “new” soundtrack of globalization was the commercial pseudo-genre of World Music, which was constructed on notions surrounding authenticity, difference, and otherness. Using the notion of genre as a sociocultural framework, the World Music genre is seen here as a sub-field referring to specific musical and extra-musical conventions that are pertaining primarily to the sphere of production. The branding of World Music illustrates the way that popular music is organized and maintained as genres as a means for music industries to streamline production, and as a source of pleasure or identification for audiences and consumers. The commodification practices surrounding World Music discourses were shaped by concepts of authenticity, difference, and otherness. Genre is thereby a constructed, flux concept, and this is well illustrated by how and why musicians become constructed and (in some cases) successful as World Music stars within the World Music brand. Commercial interests in World Music were characterized by a certain academicism among consumers coupled with a “serious” educational interest in the music cultures they encountered, thereby distinguishing themselves from others through their specialized musical knowledge and cultural interests in more “authentic” musics. Yet World Music is characteristic of both hybridity and authenticity, which resembles some kind of paradox between the mixing of musical styles, on the one hand, and a desire to leave a musical “tradition” intact, on the other. Artists who “make it” as World Music stars must therefore navigate carefully between hybridity and authenticity, western consumers’ ideas and expectations of “authentic hybridity”. Chapter 4 explores the way that popular music consumption of the noughties became influenced by a new cultural logic—the cool and the hip. Chapter 4 first explores the origins of cool and establishes the idea that neoliberal capitalism is cool capitalism. In the age of neoliberal capitalism, the ideology of cool determines cultural production and consumption, and has thereby become the focal point of popular culture globally, influencing a diverse range of contemporary trends and fields from food, music, and fashion, to technology and cinema. The hip and the cool are examples of non-economic forms of value created through branding practices. Coolness has become an incredibly powerful concept within business and marketing. It is a universal motivator for teens and youths, as well as for a large range of other age groups. Coolness excites consumers, adds symbolic value to products, and drives consumer trends. Coolness and consumption are intrinsically linked. Consumption in postmodern popular culture is central to identity formation and acquisition of status—cool, triggering in consumers the desire to achieve a cool lifestyle through consumption. The cool culture of neoliberal capitalism is clearly evident in the branding processes surrounding the “cool celebrity personae”, relevant to which is artists’ resilience to contemporary forms of (gendered, racist) patriarchy presented in much contemporary world popular music. Chapter 4 illustrates the way that coolness is gendered, exploring cool masculinities and cool postfeminism in world popular music, while showing “our” cultural complicities with patriarchy and the persistence of racism and sexism in cool popular culture globally. Moreover, cool technologies have further contributed to the veritable explosion of commodity fetishism and cool seduction under cool capitalism. Cool (neoliberal) popular culture extols celebrity and success, and promotes and celebrates values of the public self and possessive individualism. Neoliberalism has thoroughly undermined egalitarianism, which calls into question the legitimacy of globalization and global hegemonic capitalism. We are in an age of interregnum, the historical point of postdemocracy, which raises questions about the idea of active democratic citizenship, and how this activism is mobilized though and manifested in world popular music practices. Chapter 5 focuses on the postdemocratic conditions of today’s neoliberal culture and asks important questions about the role of social democratic citizenship, conceptualized here through the role of popular music in democracy and resistance. Real World, The Elders, and Witness charity are all examples of social democratic citizenship that show that a more optimistic, moral stance toward globalization is possible. Democracy and resistance are also at play through the role played by feminism and the civil rights and anti-racism movements in popular music within the hegemonic order of the global music business and wider society. Popular music can indeed function in opposition to the cultural hegemonic norm. Unequal power structures and stereotypical and oppressive role models have been revealed, challenged, and resisted by feminist and postcolonial musical practices, which reminds us of the way that race, gender, and class have assumed constructed meanings that are applied to identity characteristics of others, highlighting the ways in which inequality and prejudice are constructed in the representations of popular music. Chapter 5 highlights local forms of resistance to the spread of western culture, beliefs, practices, and norms through the lenses of hybridity, democracy, and global civility, considering audiences animated by social justice and cosmopolitan imagination, who challenge global capitalism’s commodification of the gendered, exotic, and racialized other. Yet, troubling as it may seem, neoliberalism has also led to periodic outbreaks of conservative, nationalist, right-wing socialism, and some popular music has served as a powerful means to negotiate, express, and model ethnocentric political identities. When aligned politically with the “Right”, such popular music is often most directly concerned with right-wing socialism and white nationalism. Some of these movements do, of course, raise concern and questions regards their compatibility with democracy. Yet they do share with the anti-globalization movement a discontent with postdemocracy, internationalism, and the consequences of uncontrolled global capitalism. Represents a valuable critique of popular music’s globalisation, holistically discussing local anomalies with international homogenisation against the backdrop of the larger contexts within which they continue to occur.